If you've been unlucky or your Volvo has a few dings or dents you want to see removed, we can help you at Volvo of Vancouver. We offer a wide selection of affordable body repair services and a team of knowledgeable technicians who love their work. For quality work you can trust and experienced technicians who have seen it all and will treat your vehicle like their own, trust Volvo of Vancouver. At Volvo of Vancouver, our body shop services are offered by technicians who specialize in Volvo products. They use only genuine Volvo parts in all their repairs as well as state-of-the-art equipment that ensures the quality of their work. 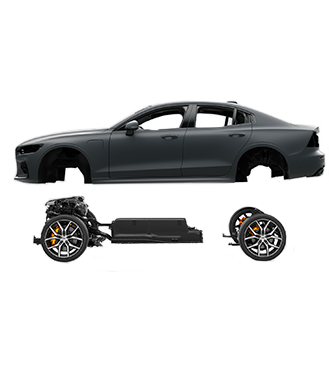 No matter the damage to your body, you can trust the team of experts at Volvo of Vancouver. We have modern facilities to ensure quality work, and your Volvo vehicle will look as good as new as soon as it leaves our body shop. At Volvo of Vancouver, we are able to work with insurance companies and give you an estimate before the work begins. Volvo of Vancouver’s body shop can handle anything from small dents to major body repairs. We can also repair your vehicle’s paint and provide you with solutions to protect your vehicle from the elements. We have special wraps and paint protectors that will keep your Volvo in perfect condition for years to come. If your Volvo needs a little tender love and care, come to Volvo of Vancouver today. Book an appointment online or contact us directly to learn more about all of our body shop services. For an affordable Volvo body shop in Vancouver that provides quality work, trust Volvo of Vancouver.